Grant and Ellen met while working at Parks and Rec. yes i know. 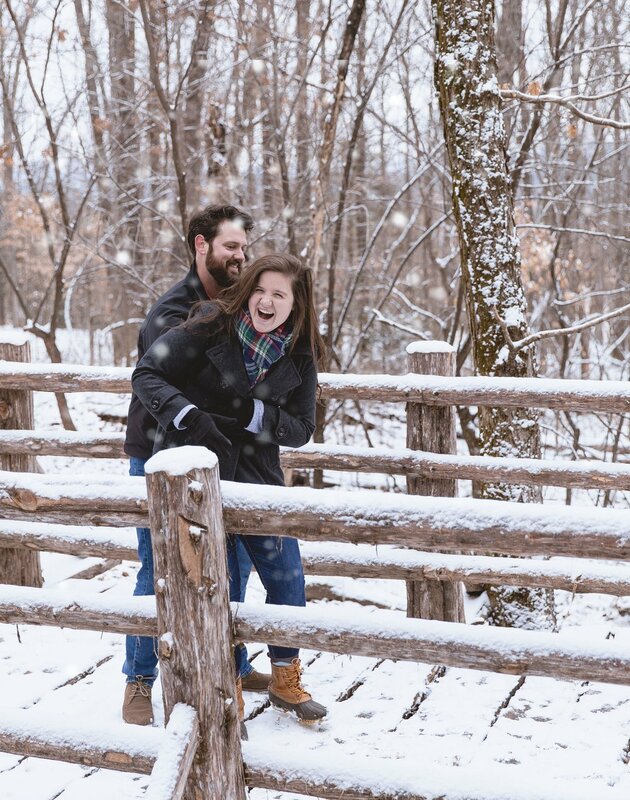 so when it was time for engagement pictures what better place to go than the park. oh ya and lets do it in 8 degrees and snow. these two are my kind of crazy. so i bundled up and we went for a hike. these two have hiked some amazing places like the Sierra Nevada Mountains and Emerald Lake in Colorado. meanwhile i’m huffing and puffing to make the 20 min hike up a tiny hill. despite the cold we had an absolute blast playing and enjoying the last snow of the year. i am so honored to get to be apart of their special day come October.